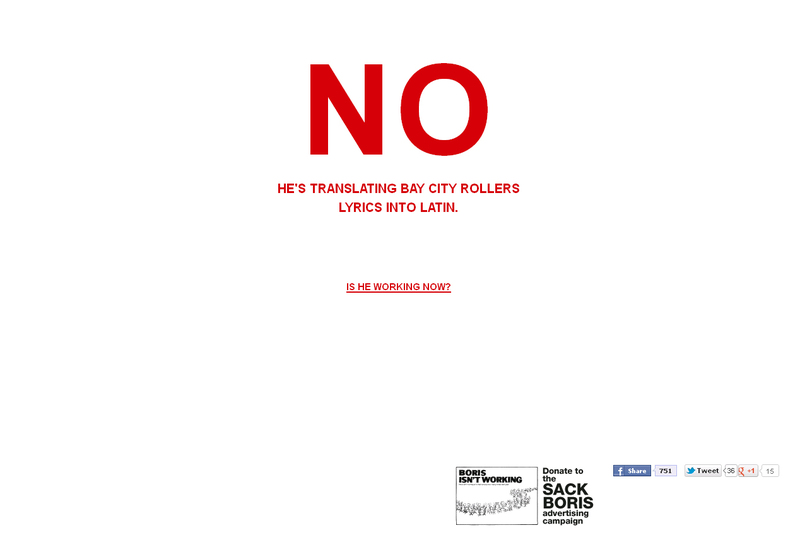 Hypernaked have created an amusing new microsite for the ‘Sack Boris’ campaign called ‘Is Boris Working?‘. It’s based on a popular online meme, which in this instance involves users being given various amusing negative responses to the question “Is Boris Working?”. It seems to have got a good amount of traction online and is the sort of thing that non-politico, floating voters would engage with. It just goes to show that online political advertising doesn’t have to break moulds or be particularly clever to work; if it’s funny, people will pass it round.